With 25 years of experience, Tripp’s Excavating offers fast, friendly and reliable services at reasonable rates. We are a leader in residential, commercial, and industrial excavating services in Montgomery County and its surrounding areas in southeastern Pennsylvania. 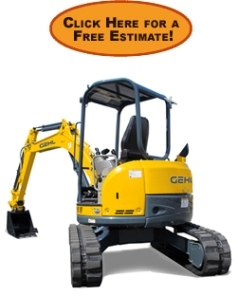 Since 1997 we have been providing honest and professional excavating services, so you can be assured that the job will be done right the first time. We are also fully licensed and insured. Whether you need excavating services, fencing or site management, we offer quality work through every stage of the process. Please be sure to review our Services page for all the details; everything from tree stump removal to basement waterproofing. The Photo Gallery page may also be of interest to you. It shows the wide range of site work performed and that no job is too big or small. If you would like to inquire about any of our services, something not found on this site or would like to request a free estimate/quote, please Contact Us. We look forward to working with you!